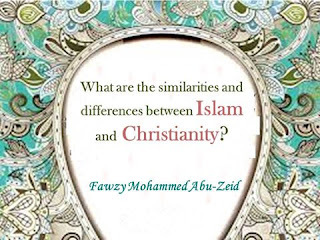 الرئيسية Islam - What are the similarities and differences between Islam and Christianity? 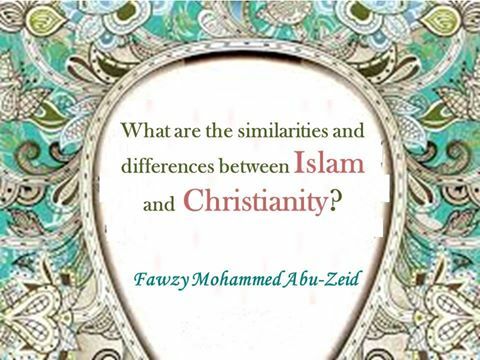 - What are the similarities and differences between Islam and Christianity? Similarities between Islam and Christianity appear in calling to good morals, pure qualities, asceticism, working for the hereafter, believing in God as true Christianity does, believing in angels, believing in the hereafter and believing in resurrection and doomsday. As for the differences between them, Islam gets perfect and full legislations in marriage, divorce, heritage, sale, buying and other things man needs to organize his life. Christianity does not have any rules for inheritance, divorce in Christianity open and close according to the desire of saints. Legislations in Islam are limited to Qur'an and Sunna of the apostle of God (May the blessing and peace of God be upon him). No Muslim can change these legislations or even some of them for any reason, but in Christianity, popes are free to restrict, cancel or renew legislations. Islam also differs from Christianity in acts of worship; in Islam, a Muslim can perform the prayers on his own, in congregation with imam in a mosque, in his house or at any place, but a Christian only performs prayers with a priest at the church. Also fasting for Muslims is only one month a year in Ramadan, and it is the abstaining from food or drinks from dawn to sunset. However, in Christianity, there are many different days for fasting, and there are different types of fasting too. Sometimes they just abstain from eating anything from animals but they can eat anything else, sometimes they fast the same way as Muslims do. Hence, there are similarities and differences easily known by anyone who studies the principles of Islam and Christianity. They both agree to what humanity needs now to reform this life, good morals.